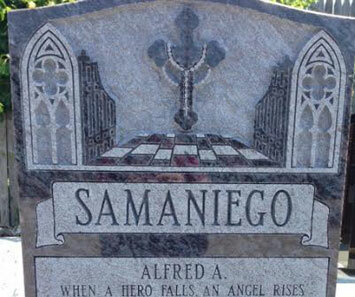 When it comes to memorializing a loved one, there are dozens of different types of monuments available to choose from, and each of these offers a unique way to remember and enshrine a loved one. 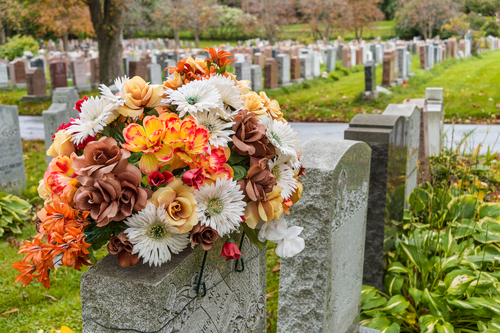 While more choices does offer a mourner more creative freedom when it comes to monumentalizing a loved one, keep in mind that your local cemetery’s regulations may not permit you to opportunity to select a certain type of monument. 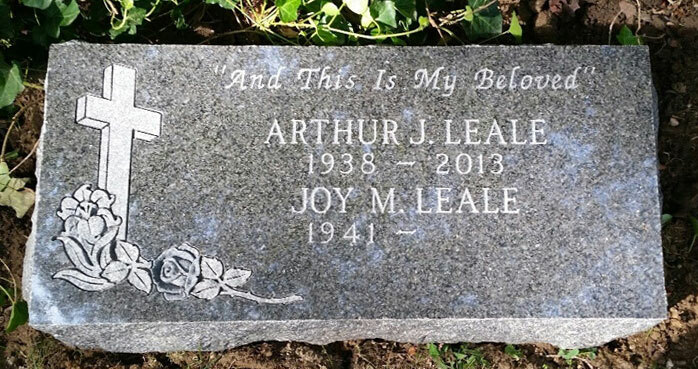 Always check with your cemetery before pursuing a monument of any size or style. As an introduction to the different types of monuments available, we wrote this article to explore the three most common types of monuments- the general upright monument style, the slant style, and the foot marker style. Upright monument style memorials, or headstones as they’re commonly referred to, are easily the most common type of monument encountered at most modern, and historic, cemeteries. 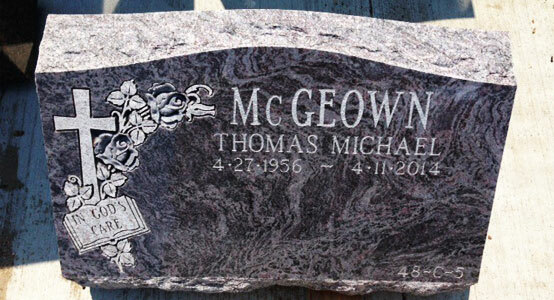 With the ability to be beautifully designed and customized, upright monuments certainly have a more benefits than concerns. Due to their larger size, upright headstones are the easiest to find in a cemetery and have the largest amount of designable space on them. In the hands of a skilled memorialist, their large sizes allows them to be shaped in a number of ways, and their height helps them stay clean longer than most other monuments. If lifted on a base, upright monuments can also be protected from any inadvertent damage a sexton may cause while mowing. The largest concern when selecting an upright monument is that due to their larger size, these monuments can be more costly than their smaller counterparts. A nice alternative to upright headstones, slant markers are easily the second most frequently encountered type of monument encountered at a cemetery. Normally beveled at the top, slant markers are about a foot wide at the bottom, and come sometimes sit on a granite base. Like upright monuments, their larger sizes permits for an ease of design and customization. If based, they can also be cored to hold the cremains of a loved one. Similar to headstones, without a base, they risk encountering damage from a haphazard sexton. Lastly, the third most frequently seen type of monument is the foot marker. Good on their own, or even as a companion monument, foot markers are easily the least expensive style of monument available. Their small size may not afford the same level of customization as other monuments, there are still many options to consider if you choose a foot marker! Foot markers may be flush with the ground, or even slightly raised, but are slightly more susceptible to mower damage than other monuments. Foot markers however are very easily maintained throughout their lifetime. Beyond these three types of monuments, there are many other types that can be chosen from when memorializing a loved one. For more information on these monuments, contact us now.